After years of battling with and reshaping behaviour systems and reward charts, I believe I am in a position to say that traditional behaviour systems are limiting and make the assumption that all young people can conform and follow the same systems and achieve the same outcomes as their peers. And with this in mind I am confident to say that I believe the negatives outweigh the positives for the majority of young people. As a headteacher in a independent specialist provision for children with social, emotional and mental health needs, I regularly see the fallout and result of pupils not having the ability, capacity and support to reach unachievable requirements in what are very unrealistic behaviour systems. What does this fallout look like? Exclusions, low self-esteem, trauma and attachment issues. What do we do about this? We have a system for success that looks at nurturing, supporting and developing independence and self-regulation, all of which go to better the life chances of the children we work with. However, sanctions and rewards continue to be seen as the answer to improving and ensuring positive behaviour in schools. The advice from the Department for Education (DfE) in January 2016 states that schools should have sanctions and rewards: “Schools should have in place a range of options and rewards to reinforce and praise good behaviour, and clear sanctions for those who do not comply with the school’s behaviour policy.” (Behaviour and Discipline in Schools: Advice for headteachers and school staff, DfE, January 2016). But do such systems really ensure that we are developing well-rounded, intrinsically driven individuals whose life chances have been improved as a result of such interventions – for example star of the week, rain clouds and sunshine charts and table points? Personally I can make reference to my experience as a parent: my daughter’s anxieties around rewards such as “Star of the Week” outweigh the positives and therefore I struggle to see the value in persistent use. So what should schools be doing to eradicate the harm that is caused by the outdated requirements to have sanctions and rewards? Heads need to be brave and think about the drivers for the behaviours which their systems are trying to eradicate. My pet hate is the sunshine and rain cloud example, often found in the early phases of education. If you are a sunshine child, where do you go next? What motivation is there for you to behave other than the intrinsic motivation that I would guess nine out of 10 such children had long before the first ray of light or drop of rain was placed on the behaviour display board? 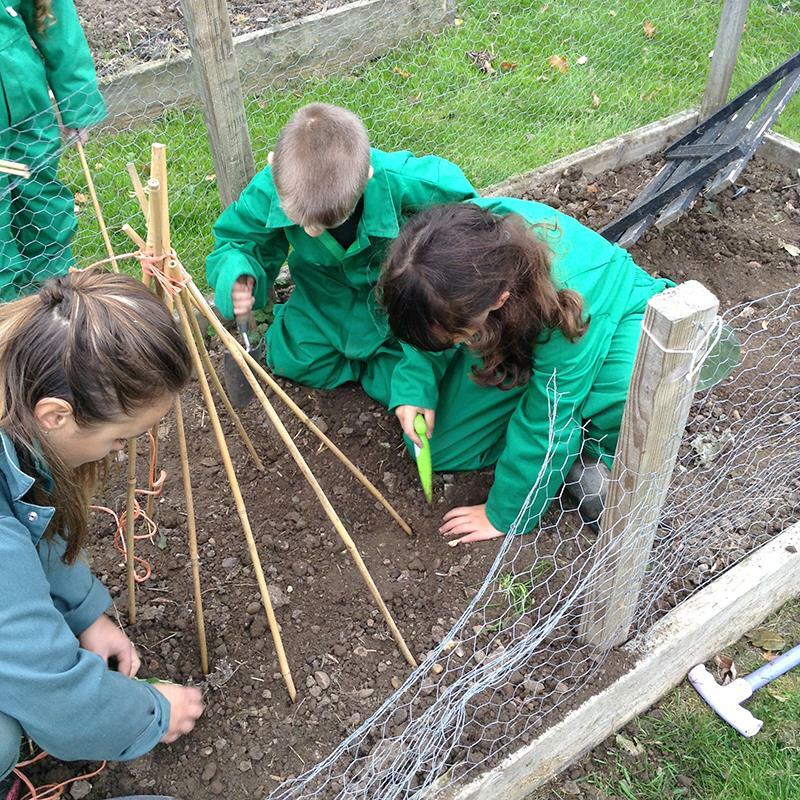 Our school – Meadow View Farm School – has worked hard to create a system that is forward-thinking and recognises that all behaviours are driven by emotions. 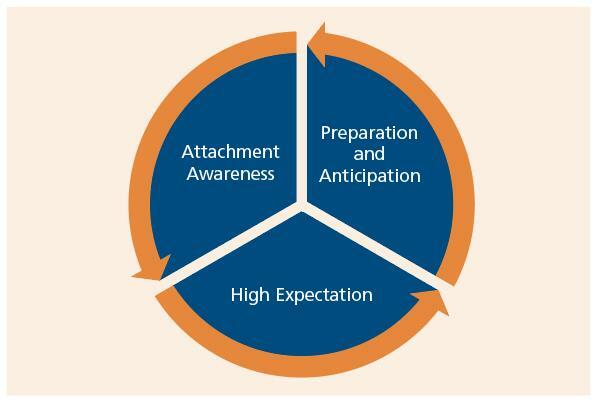 With this in mind the school has a behaviour system that has high expectations, anticipates and prepares the children and focuses on the children as individuals (see diagram, below). Consequences and rewards are replaced with high expectations and outcomes to actions. We strive to develop emotional intelligence and intrinsically motivated individuals who will achieve the best possible outcomes in life. The school tries to create an environment that is proactive rather than reactive and the staff work tirelessly to ensure moments of crisis are reduced by using our bespoke system to ensure success. The success system in action is relentless and exhausting but the outcomes for all stakeholders can be life-changing. The three key elements are constantly revolving with no one area taking permanent prevalence, they just move with fluidity and flexibility, working to meet the requirements of the pupils and staff at any given time. Our work has been supported by, among others, the Attachment Research Community (ARC) and Emotion Coaching UK. The basis of everything relies on high expectations and this reduces the need for school rules. Why do we have high expectations rather than rules? Rules are necessary in games, but in relationships they are counterproductive. Rules foster obedience rather than intrinsic motivation, and can not always be applied inclusively. A child with Tourette Syndrome many shout out in class as their tics are heightened by the pressure not to do so, the same theory applies to a child with social, emotional and mental health needs. The stress of conforming to unrealistic rules and expectations will often heighten and increase the behaviours the “rules” have been applied to eradicate. High expectations if managed appropriately can be as powerful and bring about greater success than the strict list of rules that many schools feel forced to adopt. Our system around high expectations enables transferability between home and school – families can adopt the system and use this to improve home life with great success. When applied successfully the consistency between home and school reduces stress/anxiety and leads to improved outcomes for all. The high expectations are clear, explained and future-focused. They are underpinned by a vision of creating well-rounded and regulated individuals who have the greatest chance of success in society. This element of the success model is exhausting and requires 100 per cent investment by staff and senior leaders. Everyone needs to ensure staff wellbeing and resilience is considered and supported to gain the best outcomes for all. Stress is natural and when regulated can be good for us, it can inspire us and bring out the best in us. The issue comes with unregulated stress – this can be toxic and lead to life-long neurological damage. We reduce the risk of unregulated stress caused by the pressures of the education system by knowing our children so well that we are able to redirect their thinking, label their emotions and regulate their responses. If we anticipate difficulties, crises and triggers for negative behaviours then we can prepare and put systems in place to reduce the impact. This is where we use emotion coaching and a consistent script around the school. The script labels the emotions, it validates them, limits the negative behaviours associated with them and looks for alternatives. One thing that is imperative is that the emotions are not dismissed. To know how a child is feeling we need to have relationships that are trusting, nurturing and respectful. For many of our children staff act as a sea defence in a coastal storm. Staff brace themselves for what is thrown at them knowing that in time things will settle. The children need to feel valued, develop a sense of worth, confidence and self-esteem. Only when they have this can they begin to think about self-regulation and developing a repertoire of approaches to deal with the challenges life will throw at them. If a child struggles with writing, as professionals we differentiate the work to ensure their success. So why are we reluctant to make such adjustments to avoid negative behaviours? Knowing what we know about children who have had challenging early life experiences leading to decision-making pathways being damaged, we need to be equipped to support and develop the life-long skills of emotional intelligence and self-regulation. Leaders need to embrace the change within their schools and empower their staff to think about more than ensuring conformity and think about the mental health of all the young people we work with. What inspires one can excite another, what is a positive for one person can be a negative for the next. By preparing and anticipating and knowing the whole child we are much more equipped move children forward in every way possible and better their futures.